Our dental practice has been a pillar of the Phoenix community since 1986, giving families and individuals the dedicated family care they deserve. As a private practice, we know what it means to provide excellent care. From the first visit, patients receive personal and individualized care that caters to their needs. Whether it’s your child’s initial checkup, or you are looking to improve your dental appearance with cosmetic care, Dr. Dustin Karren listens to your goals and makes expert recommendations. At Dustin Karren Dental, we deliver expert dental care in a compassionate and gentle environment. We welcome patients of all ages, offering a full range of treatments to address dental concerns and improve aesthetics. Dr. Karren and his team devote their attention to helping patients gain confidence in their appearance. It is our goal to truly change lives with beautiful dental work. Our team is committed to upholding the highest standards of dental care, utilizing premium materials and modern techniques to support your oral health goals. When providing treatments, Dr. Karren focuses on protecting the natural beauty of your teeth and conserving existing structures. We understand that every smile is unique and requires a different amount of care, or has unique sensitivities that need to be acknowledged. As an experienced general dentist for over 15 years, Dr. Karren offers a full range of treatment options. When dental decay causes discomfort, we use restorative procedures to protect dental function. If cosmetic issues are impacting your smile, we offer treatments that target those problems and enhance your appearance. Dr. Karren is also skilled with a number of advanced procedures, such as wisdom teeth extractions, orthodontic care with Six Month Smiles, and root canal therapy. We believe your dental visit should be as comfortable as possible. Our friendly team helps patients with anything they need, from filling out paperwork to understanding their insurance coverage. Our large windows help create a relaxing environment for our patients. During your visit, you can enjoy watching TV, a welcome distraction for kids undergoing dental procedures. We encourage patients to bring in their devices and headphones, which make appointments much easier for many. 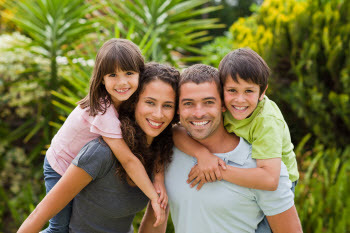 If you’re an individual looking for a skilled dentist, or a parent who wishes to have their whole family cared for, we can fulfill your needs. Call us today to schedule your next visit to our dental practice, serving North Phoenix and Moon Valley for many decades.